The sixth annual International Jazz Day will be celebrated worldwide on April 30, 2017. The musically vibrant and culturally rich city of Havana, Cuba, has been selected to serve as the 2017 Global Host City, and will present the All-Star Global Concert at the Gran Teatro de La Habana Alicia Alonso under the auspices of the Ministry of Culture of Cuba, the Cuban Institute of Music, and the Cuban National Commission for UNESCO. 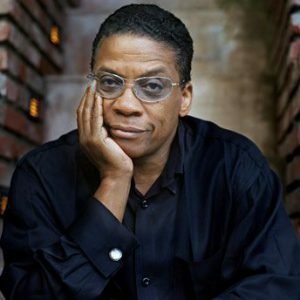 The concert will be live streamed on JazzDay.com (April 30, 8 pm CDT), and will feature an extraordinary array of artists from around the world paying tribute to the international art form of jazz. In partnership with the Thelonious Monk Institute of Jazz, International Jazz Day highlights the power of jazz as a force for freedom and creativity, promotes intercultural dialogue through respect and understanding, and unites people from all corners of the globe. The day is recognized on the official calendars of both UNESCO and the United Nations. International Jazz Day programs are made possible by Toyota, the 2017 lead partner. 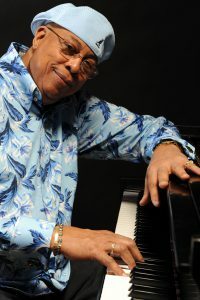 Herbie Hancock and Chucho Valdés will serve as the artistic directors of the All-Star Global Concert, with John Beasley and Emilio Vega as the evening’s musical co-directors. The Concert will feature stellar performances by a truly international roster of artists including Ambrose Akinmusire (United States), Carl Allen (United States), Marc Antoine (France), Richard Bona (Cameroon), Till Brönner (Germany), A Bu (China), Igor Butman (Russian Federation), Bobby Carcassés (Cuba), Regina Carter (United States), Kurt Elling (United States), Kenny Garrett (United States), Herbie Hancock (United States), Antonio Hart (United States), Takuya Kuroda (Japan), Ivan Lins (Brazil), Sixto Llorente (Cuba), Marcus Miller (United States), Youn Sun Nah (Republic of Korea), Julio Padrón (Cuba), Gianluca Petrella (Italy), Gonzalo Rubalcaba (Cuba), Antonio Sánchez (Mexico), Christian Sands (United States), Esperanza Spalding (United States), Chucho Valdés (Cuba), Ben Williams (United States), Tarek Yamani (Lebanon), Dhafer Youssef (Tunisia), Pancho Amat (Cuba), César López (Cuba), and others. Many acclaimed musicians and educators from Cuba and around the world will participate in free jazz performances, master classes, improvisational workshops, jam sessions, and community outreach initiatives. Programs will take place at schools, arts venues, community centers, jazz clubs, and parks across the city of Havana and throughout Cuba during the week leading up to the festivities on April 30th. Additionally, jazz history and education programs will be provided for tens of thousands of students in over 11,000 schools across Cuba. 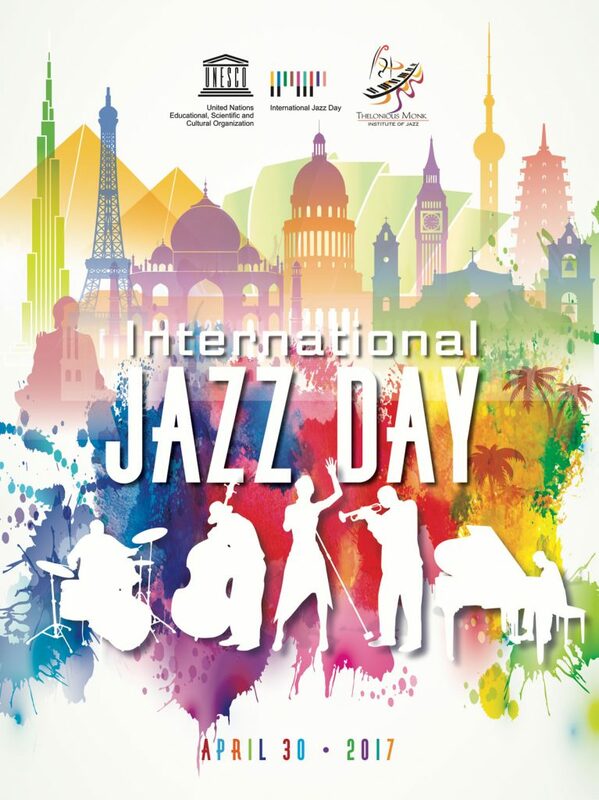 These programs will be among the thousands of International Jazz Day live performances, educational activities, and community service programs taking place in more than 190 countries on all continents. 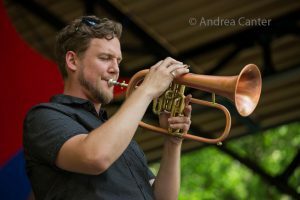 In Minnesota, one event is registered for International Jazz Day — “Blow, Gabriel, Blow” — jazz trumpeter Adam Meckler joins the Saint Mary’s University jazz groups for their spring concert, at the Page Theatre (700 Terrace Heights, Winona) on Sunday, April 30, 2017 at 3 p.m.
For more information about International Jazz Day and to live-stream the concert, please visit www.jazzday.com.